This should be a doozy:America is now officially set to host a Copa America Centenario party next year. I will remind you that 24 cities are in the race to host games. I might have to bounce over for this one. Ha! Sounds good! Of course, we do not know which cities will host the games yet. But if I come, it will be with the lady and we will probably stay a couple months so I can show her America. i like to pretend greg is a robot, and that way, it helps me explain to myself, his peculiarities. we like to pretend that you don't exist. it helps us have faith in humanity. Ouch dany!! But isn't that kind of like rich, coming from the person who next to g man, responds most? Talk about odd!!! 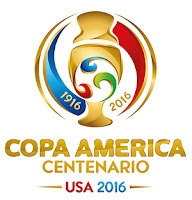 Alright, alright... and now back to Copa America 2016.